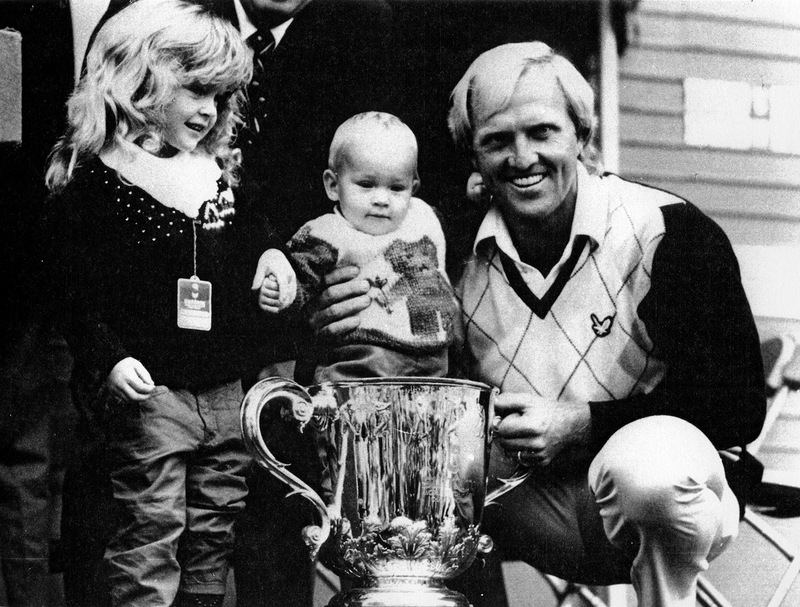 Greg Norman beat Scotland's Sandy Lyle 2 and 1 to collect 50,000 pounds (A114,650) and take his earnings for the year to more than $A1.6 million. For Norman, the win maintained his 100 percent record in the four tournaments he played in Britain this year. His previous victories were in the British Open, the European Open and the Dunhill Cup. Despite a partisan crowd decidedly in favor of Lyle, Norman celebrated the victory with his family. A partisan crowd booed Australian's Greg Norman to victory at Wentworth today in a golf tournament in which he later said he would never play again. The world's number one golfer said he has been victimized by the worst crowd of his career as he won the World Match Play Championship for the third time. Norman beat Scotland's Sandy Lyle 2 and 1 to collect 50,000 pounds (A114,650) and take his earnings for the year to more than $A1.6 million. After the match he slammed the 10,000-strong pro-Lyle crowd, which he said had applauded missed putts and booed his good shots. "It was the worst behavior I have ever experienced," Norman said. "Ninety percent of the people were bad, 10 percent were good. It's a shame that it happened this way... I was very disappointed... There was no need to make noises in the middle of my backswing or clap when I hit bad shots... It was blatant...It started at the 16th in this morning's round. They clapped and cheered when I chipped long and again when I missed the putt." Norman previously won the World Match Play title in 1980 against Lyle, and in 1983 when he beat another Briton, Nick Faldo. But he said today he would not play in the tournament again. "Unfortunately, I think this is going to be my last World Match Play Championship, mainly because of the people out there today. I will play in the Open but I won't come back and play this tournament again." Norman said the crowd which watched his Dunhill Cup match against Scotland last week at St. Andrews had also been unfairly biased towards the home team. But he said his opponent, Sam Torrance, had asked them to "back off" and they had done so. He said Lyle had not made any similar attempt today. Norman agreed foreign players paired with him in Australian tournaments would be less popular with the crowd. But he denied they would be treated as badly as he was today. "I can only remember it being as bad as this once in Australia. It was when I was playing with Nick Faldo, and I did what Sam Torrance did and asked the crowd to be fair. There is nothing wrong with favoritism, as long as you respect the other individual." "Out there today I felt like saying 'Give me a break' but I decided to zip it up." For Norman, the win maintained his 100 percent record in the four tournaments he has played in Britain this year. His previous victories were in the British Open, the European Open and the Dunhill Cup.